When ‘Bourne Identity’ and ‘Jurassic World’ producer Frank Marshall was just starting his career, he got an irresistible offer: to work with Orson Welles on what would turn out to be the legendary director’s last film. 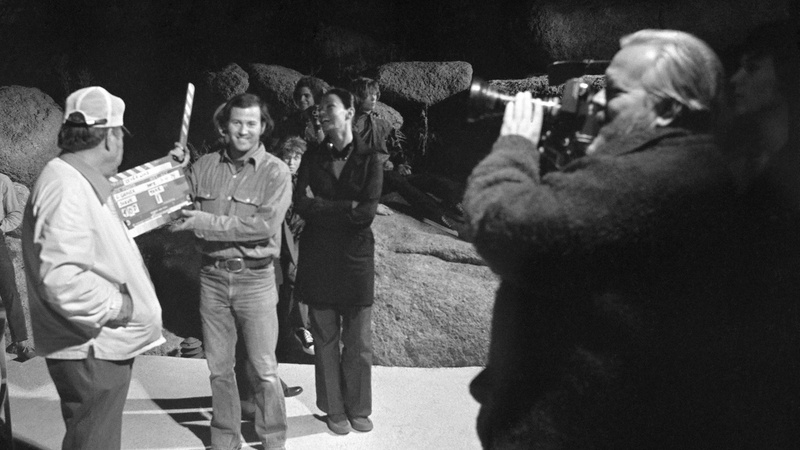 ‘The Other Side of the Wind’ was still unfinished when Welles died in 1985, but Marshall was determined to see the job through. Marshall and fellow producer Filip Rymsza tell us how the quest to to get this quirky film released involved the Shah of Iran’s brother-in-law, Napoleonic law, and an Indiegogo campaign that failed but succeeded in getting some attention from Netflix. Unknown crewmember, Edmund O’Brien, Frank Marshall, Mercedes McCambridge, Oja Kodar, and Orson Welles, behind the scenes on 'The Other Side of the Wind' Photo credit: José María Castellví/Netflix.